At Prestonwood Elementary school in Dallas, Texas, Dale Irby, a retired gym teacher posed for his first yearbook photo back in 1973. 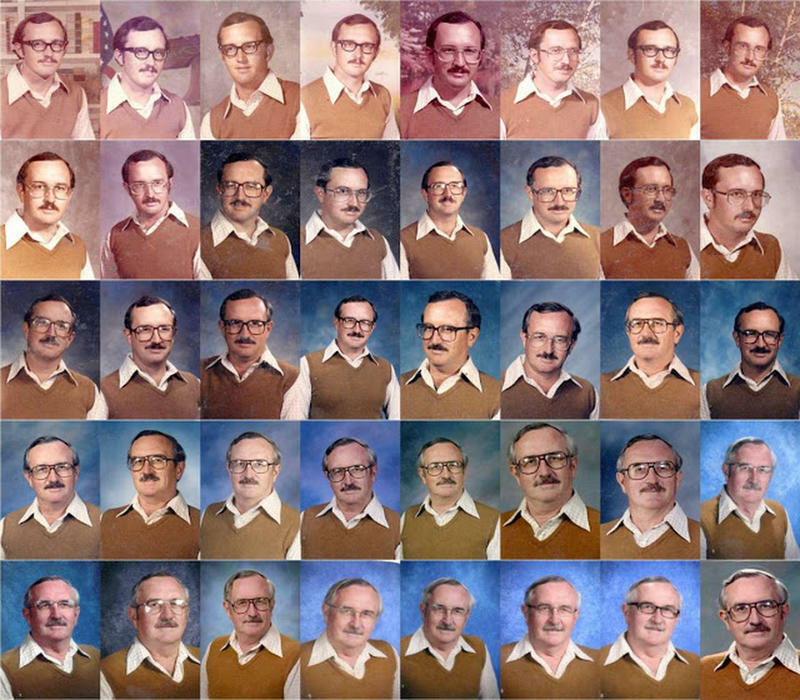 The following year, 1974, he wore the exact same outfit for another yearbook photo completely by accident. “I was so embarrassed when I got the school pictures back that second year and realized I had worn the very same thing as the first year,” Dale stated to Dallas Morning News. Thus he never did, and up until his final year being every kid’s favorite physical education teacher at Prestonwood Elementary within the Richardson school district.